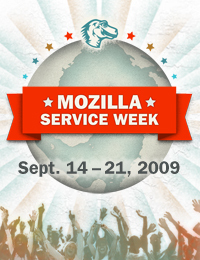 Be the Difference: Mozilla Service Week! Today Mozilla launches the very first Mozilla Service Week. During the week of September 14-21, 2009, we’re asking people to step up and make a difference by using the Web to better their community. Mozilla is a global community with a firm mission to make the Web better for everybody. When members of our community decide to take action, they have the power to make a serious difference. Teach senior citizens how to use the Web. Show a non-profit how to use social networking to grow its base of supporters. Install a wireless network at a school. 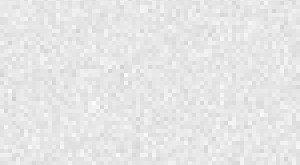 Create Web how-to materials for a library’s computer cluster. Refurbish hardware for a local computer center. Help a non-profit update its website or database. Everyone should have the opportunity to know how to use the Internet, have easy access to it, and have a good experience when they’re online. So if you have a talent for writing, designing, programming, developing, or all-around technical know-how, join Mozilla Service Week. In Mark Surman’s words (executive director of the Mozilla Foundation), “We’re inviting people to get involved with Mozilla in an active way, even if they can’t code, test or localize. It let’s anyone and everyone feel like they are contributing to the cause of building a better internet.” Together we can make the Web a better place for everyone! Over the coming weeks you can look forward to Mozilla Service Week being available in many languages and with additional partners thanks to the Mozilla community’s help. To learn more on how to make a difference by either volunteering or listing your organization’s needs, go to mozillaservice.org. Your Internet skills, no matter how novice or advanced, can change people’s lives and make the Web better for everyone. Follow us on twitter for updates and news!